: I first heard Elvis when I was about 8 years old, not aware of who he really was. Years ago, I live on a farm where there was no hydro or running water. We had a radio that was battery operated (car battery in those days) and some how my father hooked the battery to a radio. Well! that nite my aunt and older sister were listening to Elvis' first release (That's All Right Mama). That was my first introduction to Elvis and he has lived in my heart and soul since. "My Message to Elvis": My message to Elvis would be "Don't ever stop singing". You gave hope to so many people with your love and generosity. I love you for what you have left for us. : My favorite song is "In The Ghetto" because it tells a story about hard times. : My favorite suit was one that was all Red (all the suits had a name, I'm not sure what this one was called). : Elvis's greatest love was his mother, most loved was Lisa Marie and Priscilla. : I was getting off work and my husband picked me up only to tell me of Elvis's death and tears just rolled down my cheeks. : If it wasn't for Priscilla, we wouldn't have what we are experiencing now. He loved his fans and now we're showing our appreciation for all the good things he has left us. : I have yet to make my way to Graceland. : I am a huge Elvis fan, collect items that are collector pieces, books, figurines, CDs and DVDs (collector edition), my home is not a home without Elvis in every room. When your an Elvis fan, there is nothing to say because it speaks for itself. : I'm so new to your site, but you do keep up with the news as it developes. I love this site. Thank you for your kind comments on our survey. 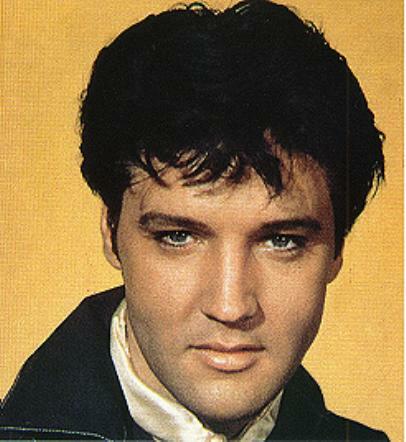 Elvis was a very handsome man, his eyes, his lips, his face was soooooo gorgeous and his voice was so warm and loving. Your choice of song is a favorite of mine too; the lyrics are more than just words he sings from the heart, it`s sung with his feelings. I totally adore him and long for the day I make it to Graceland. Elvis offers so much to us in his music; he has had a huge effect on many world wide. Once Elvis touches your life he stays in your heart forever. I love your poem; it comes from your heart. Being a devoted fan is easy when he offered so much goodness to his fans all round the world. I agree, with your comment about Priscilla, she has made a lot of things possible. Her devotion to her x husband is a loyal love. She is also an amazing person and deserves a lot more credit for her on going honor for our King. Its beautiful, hope you enjoy!